No warm water or heating? Have you ever woken up to find out your boiler isn’t providing you with any water or heating? This could be due to damaged components within your boiler or this could be caused by leaks inside your boiler which if left untreated could cause corrosion in the near future. A lack of servicing your boiler could be another reason why your boiler is not working. Maybe, no one is checking for the early signs of water leaks on components or damaged components. 07957 138389 who will respond quickly and promptly. Are you due for your yearly annual boiler service? Your boiler should be serviced once a year to ensure it is running as efficiently as possible. Servicing your boiler once a year will also stop long term problems occurring to your boiler. D.Birtles will check for leaks and early signs of corrosion on components within the boiler. A regular service will also ensure you get the maximum life span from your boiler. 07957 138389 for a quick response. 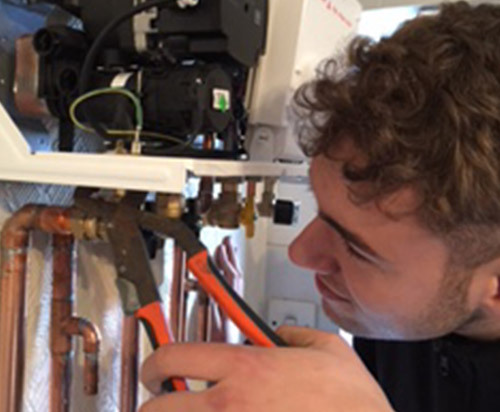 Our qualified and skilled plumbers and gas engineers are here to assist you with your gas combination boiler or heat only boilers or multi point water heaters. Please call D.Birtles on 07957 138389 who will be happy to assist you.